Tell Your School About EduTuit - Collect $100! Parents, teachers, administrators, or relatives who submit EduTuit to K-12 schools with more than 300 students, which ends in a sale, will collect $100, and schools with less than 300 students collect $50 - as our thanks! Rules: Offer expires June 30, 2014. You must tell us about your submission on our Contact Us form within one day of our first contact with the school. Void where prohibited by law. 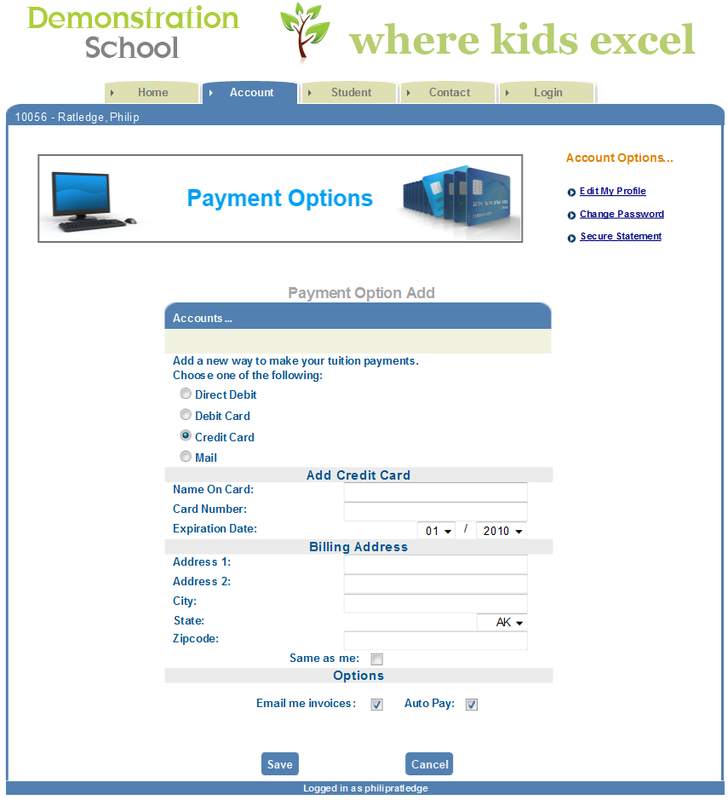 Parents Autopay schools using EduTuit. Parents adding a credit card or a bank account number have the option to turn Autopay on/off. Schools can also make this feature mandatory, requiring parents to pay at predetermined intervals. To have your school setup with Autopay or to discuss options please submit your contact information on our contact form now or call us at: 877-273-8848.